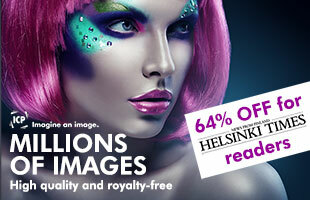 Having your Finnish proficiency certified is a vital step in getting on in Finland. SAUNA is probably the only word in Finnish most non-Finns know – and sometimes without even knowing where it comes from. If you move to Finland for some time, say as an exchange student, you will most likely learn some useful everyday words: maybe moi or terve, so you can greet your Finnish friends, the bus driver or the sales clerk; peruna and maito if starving is not among your plans; mansikka and suklaa if you’d like to indulge yourself. However, if you plan to stay in Finland for a long period, it is useful to learn Finnish or Swedish, both of which are official languages of the country. Nonetheless, it’s more likely that you will lean towards Finnish, since it is the mother tongue of almost 90 per cent of Finns and you will most likely be living in a place where it is the predominant language. Once you have decided to follow the path of learning Finnish – or Swedish – how can you actually demonstrate your progress? That is the purpose of the National Certificate of Language Proficiency or YKI (for its name in Finnish, Yleiset kielitutkinnot) a certification issued by the University of Jyväskylä and sanctioned by the Finnish National Board of Education (FNBE). These are some web resources to start your preparation for the YKI test. Finnish National Board of Education: All the information you need about the YKI test –www.oph.fi/english/mobility/testing_language_skills. 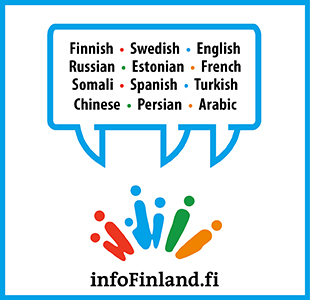 Web resource for learning Finnish and Swedish, produced by Finnish National Board of Education – www.kotisuomessa.fi. Web resource for learning basic Finnish vocabulary and grammar, produced by University of Helsinki Language Center – donnerwetter.kielikeskus.helsinki.fi/FinnishForForeigners. Web material that is offered by the National Board of Education for those with some knowledge of Finnish – www04.edu.fi/suomeaolehyva. The three of them, just like many other immigrants, decided to study Finnish or Swedish as a way to better integrate in their new society. Even if the YKI test is not compulsory, many language students are advised by their teachers to take it. The YKI test was also suggested to Prakash after he had completed a Finnish Language course. For Sofía it was the same. “I had been told about the YKI test at the school where I was studying Finnish,” she says. Prakash decided to take some preparatory lessons and also to practice at home for a couple of hours. Sofia also took the preparatory course for YKI. Lorena went the extra mile. “Besides the basic course of eight months, I read the Metro newspaper every day, watching videos at the Supisuomea website and doing the exercises that come with each issue”, she explains. One important prerequisite for acquiring Finnish citizenship is to have satisfactory oral and written skills in Finnish or Swedish. The YKI test is a valid document to certify your proficiency in any of these languages. “At my Finnish course we were told that the mandatory requirements if you want to apply for citizenship is to have at least levels B1 or B2 of Finnish or Swedish,” Sofía relates. The FNBE evaluates the results of the YKI test following the Common European Framework of Reference for Languages (CEFR). This system places foreign language speakers in levels A1, A2, B1, B2, C1 and C2, with A1 being the most basic foreign-language skill and C2, the most advanced. Even if you do not plan of applying for Finnish citizenship, the YKI test has proved to be a positive experience for many of those who took it. Likewise, after passing the YKI test, Lorena has been able to successfully follow a professional course in Finnish in customer service. “But I realise that the best part of this experience is that I have demonstrated that foreigners also have sisu,” she concludes.